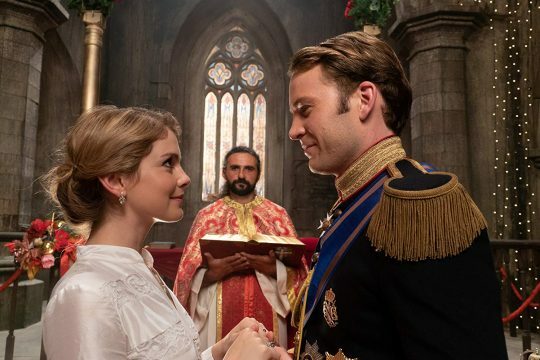 For reasons I refuse to disclose, I watched Netflix's A Christmas Prince: The Royal Wedding this weekend. The movie is the second in the series of movies about a nonthreatening conventionally attractive journalist named Amber, who goes undercover to interview Richard, the prince of a generic European country called Aldovia. Spoilers: they fall in love. And during Christmas! At face value, these movies are nothing more than saccharine trash for lonely women. But it's also the story of something more sinister. While only hinted at in the first movie, the sequel reveals that Aldovia is an absolute monarchy, where an unelected dictator rules the country and basic liberties are trampled upon. Given how heavily the movie leans on parallels to the British family, I assumed going in that Aldovia was a constitutional monarchy where the now-King Richard played only a ceremonial role. But two minutes into the movie, when Amber lands in Aldovia for the wedding, she's greeted by reporters. "Any comment on the king's initiative?" asks one reporter, while a nearby man reads a newspaper with the headline "King Richard's Modernization Initiative a Disaster?" Yes, it turns out that Richard sets Aldovian economic policy. The "modernization" is not ceding power to the actual people, but investing heavily in the nation's hospitals, schools, tech industry and infrastructure. Good policy perhaps, but not exactly democratic. The nation's ministers, we soon learn, simply carry out the commands of the king. One of the country's lords is appointed head of the economy by the Queen Mother (distractingly played by Alice Krige, a.k.a. Star Trek: Insurrection‘s Borg Queen) without a hint of a confirmation process. The king's slimy cousin is seen trying to get on a seat on the king's economic counsel, and tries to convince him to have the country invest in a new cryptocurrency. The implication is that if the fancy struck him, Richard could sink the Aldovian treasury into DogeCoin. Even Amber offers to help set the economic policy, telling Richard, "I'm going to be queen, I want to contribute." She's later seen sitting in on a meeting with the country's chief economic advisor. Her experience? She used to balance the books at her dad's diner. Unsurprisingly, the policy is failing. "Less than a year into my reign, I feel like I'm running the kingdom into the ground," Richard laments, yet another indication that he's running the kingdom. Throughout the movie we see angry protests, strikes, jobs disappearing, and economic depression, eventually revealed to be the result of massive corruption on the part of Aldovian elites. At the same time, we are expected to delight in the extravagance of the royal family's wedding and palace soirées (well, as extravagant as a Netflix budget allows). The best that can be said is that Aldovia is free enough to allow critical media coverage, but even that right appears limited. At one point in the movie, Amber posts to her blog pictures she took of the Princess Emily baking cookies with other children and getting whipped cream on her face. When she calls her Gay Best Friend and Black Best Friend, they inform her that the pictures have been taken down. The culprit turns out to be the priggish Mrs. Averill, hired to maintain the royal family's image. Now at this point, Amber isn’t a queen, she’s a private citizen—and a journalist at that. There’s nothing obscene or otherwise illegal about her blog post. But a government employee somehow managed to censor the content of her speech simply because it was embarrassing to the ruling elites. The implications of this power are never fully explored. AT WHICH POINT THE QUEEN-TO-BE PULLS OUT A WEAPON AND THREATENS TO SHOOT HIM. Still better than the Taron Egerton movie (Netflix). In any sort of civilized nation, this would be highly illegal. But the Borg Queen instead intones her personal guards to throw Lord Leopold in the dungeons. I was waiting for the punchline, "haha, of course we have no dungeons, call the police!" But no, it turns out that the Happy Christmas Palace actually does have dungeons, and the Borg Queen is legally authorized to order her personal bodyguards to imprison a man who poses no risk of violence. 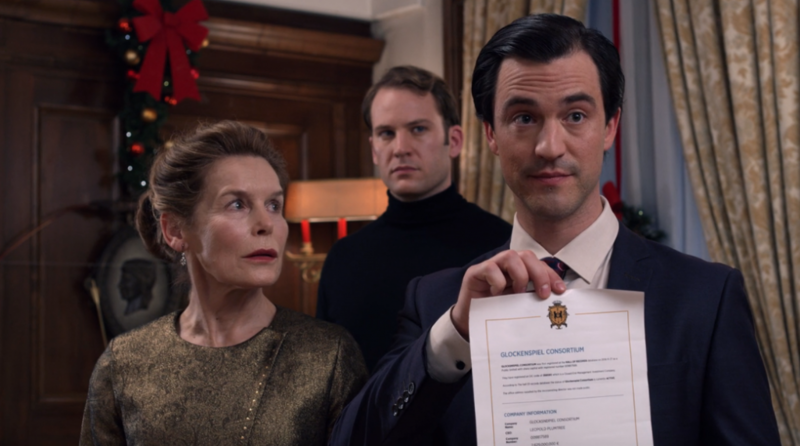 The only evidence for Leopold's crime is a document from Richard's cousin—a shady character who tried to steal the throne in the last movie—that looks like he made it in Microsoft Word. A Christmas Prince 2 benefits enormously from the fact that its royal family consists of attractive Europeans with posh British accents. Were King Richard the leader of an African or Asian nation with an absolute monarch, widespread corruption, a backwards economy, government censorship, and arrests of powerful enemies, it'd be an entirely different movie. Less The Prince and Me, more The Last King of Scotland. 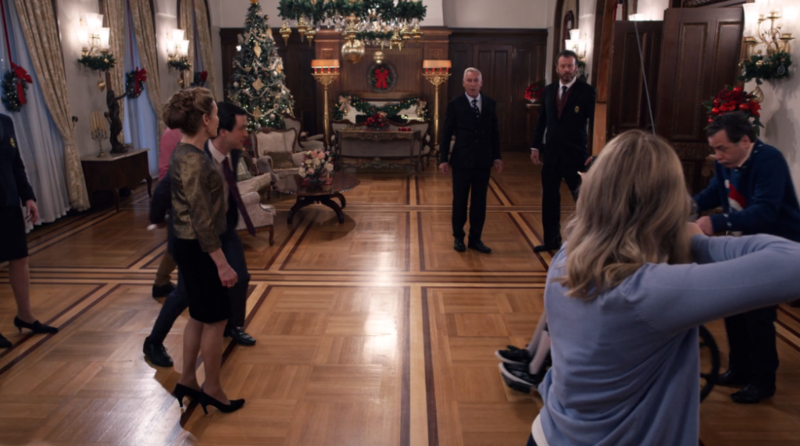 But instead the movie ends with the cute white people celebrating a white Christmas in front of a white marble palace, with the carols drowning out the screams of Leopold being waterboarded in the basement. Merry Christmas, everyone! This entry was posted in Politics and tagged Movie Reviews, Netflix. Bookmark the permalink.